Sorry about the photos, Iphones aren’t best to take photos! 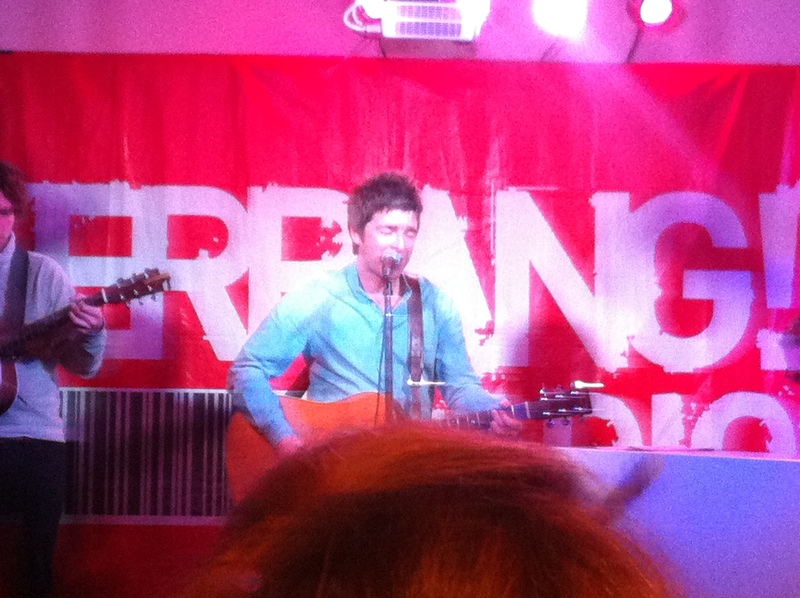 I was extremely lucky yesterday as I got the chance to see Noel play live at Kerrang! 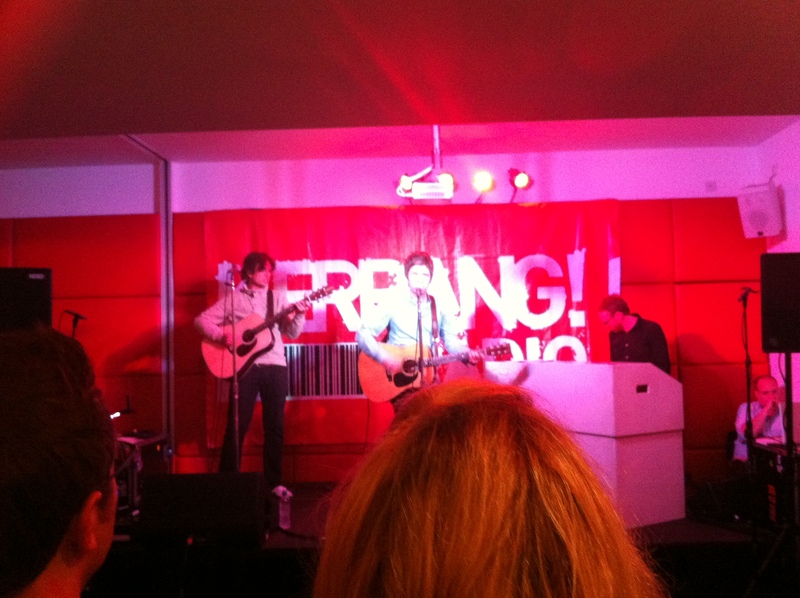 Radio at an intimate gig. There was literally only about 40 people there and I was one of them. I’m a roadie there so I got to sit in the back where he was before he played! At one point there was only about 8 people in that room and me and him were two of those people, I felt very privileged. When I saw him, he was just on his phone and seem to have this godlike genius glow to him, and he was just effortlessly cool, even though he did look shattered. It’s a day I will never ever forget, just being in the same rooms as him. 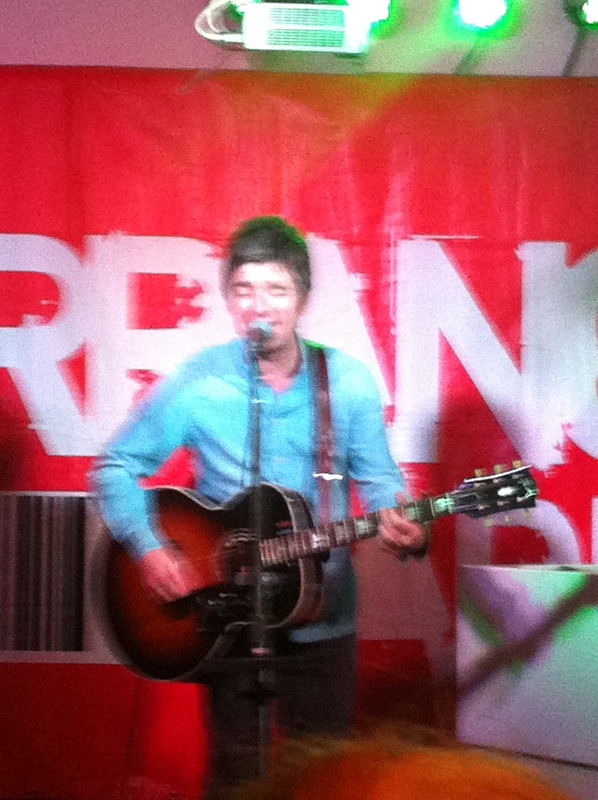 His set was very heavy on Oasis songs, which I preferred because I haven’t seen him play some Oasis songs live. Off his new solo album he played, AKA…What a life and If I had a gun, I think that was it haha. But he played the old favorite It’s good to be free along with Supersonic, Half the world away, Don’t look back in anger and Wonderwall. He also played ‘D’yer wanna be a spaceman?’ which was brilliant because he said before he played it ‘ I’ve only played this one 8 times live’, so I felt very privileged, and it was class, everyone was singing and it reminded how much of great song it is. 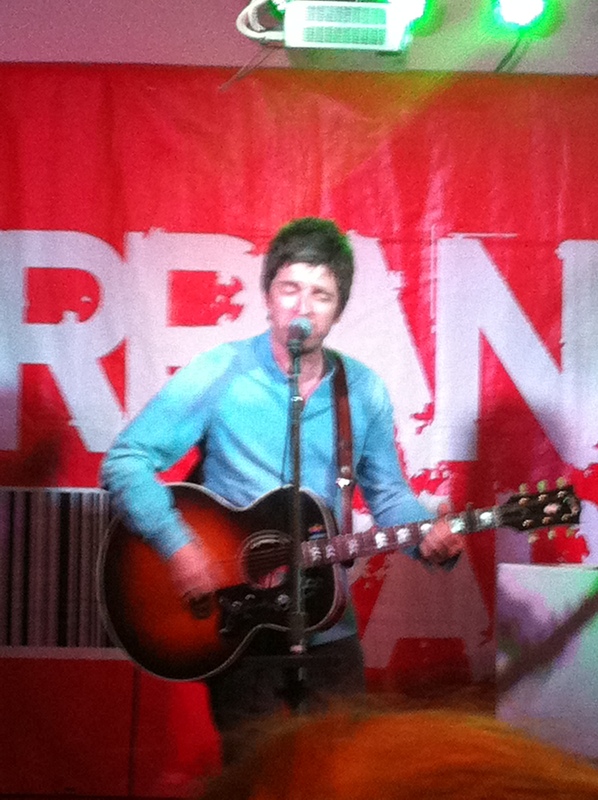 He went on for about 40 mins, which was longer than I expected because it was only a radio station gig. There was one heckle and it was the most obvious, I’m all for heckles only if they’re funny and haven’t been shouted millions of times. The heckle was ‘Where’s Liam?’, when it got shouted out I thought ‘F**k me? Nothing better than that?’. Noel took it well and replied with ‘I don’t know, he’s probably at home. He’s got a shot load of money…for doing very little’, which obviously got a round of applause and a couple of laughs. I wanted to shout out something, but I didn’t want get in trouble and lose my very important job, probably one of the best jobs I could ever have. So I thought I’d leave it. Unfortunately I didn’t get anything but I don’t mind, seeing him live was amazing. Also I wasn’t able to record any videos :/, which I would’ve loved to have done. That’s the post for today, please comment, even if it is on my terrible photography. Next Next post: CACHORRO GRANDE – VOCÊ NÃO SABE O QUE PERDEU – It’s a Brazilian Band. I know I was a very, very lucky boy. Sorry I haven’t wrote a piece on that band you showed me, I assure you it’s still in my thoughts just wanna do a good piece on it and haven’t had the time on it “/. 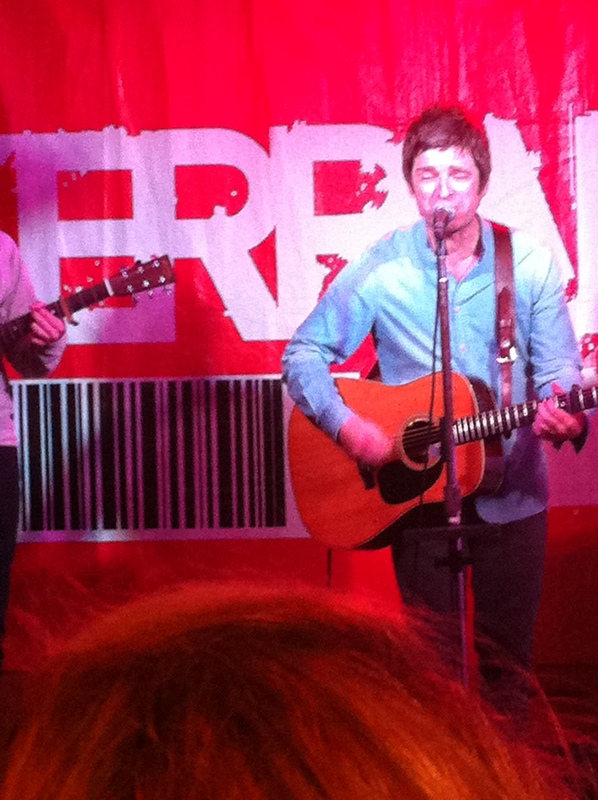 I loved D’yer wanna be a spaceman, that was class. I really like little by little, lets face it, he’s got a stack of amazing songs.